handles or other resistant body areas ? regularly but that bulge just won't go away ? most popular and common plastic surgery in the World. Despite good health and a reasonable level of fitness, some people may still have a body with disproportionate contours due to localized fat deposits that simply cannot be removed by exercise and diet. These areas may be due to family traits rather than a lack of weight control or fitness. In most of cases, liposuction is combined with other plastic surgery procedures such as a facelift, breast augmentation or reduction, buttock augmentation (with fat injection) or tummy tuck. To have the perfect body, only if you want!! · To treat the abdomen, (both upper and lower portions), the hips, waist, thighs, buttocks, and the neck. Other areas commonly treated include the calves, knees, ankles, back, arms. your appearance and self confidence!! Over the last 15 years, liposuction has evolved into a relatively safe and effective surgical procedure that helps to remove excess fat deposits from specific body areas and improve your body appearance. Depending on the type of liposuction you want the procedure is performed using a suction device attached to a small, stainless steel instrument called a cannula. First, sterile liquid solution is infused to reduce bleeding and trauma. Then, through very small, inconspicuous incisions, the cannula is inserted into fatty areas between skin and muscle where it removes excess fat either using a suction pump or a large syringe. This results in a smoother, improved body contour. 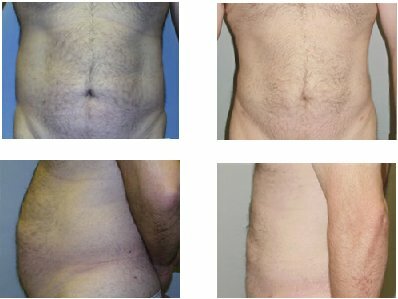 This technique is called Pure tumescent liposuction, is a remarkably safe procedure with a short recovery period that trims the body of unwanted fat. Plastic surgeons we work with are board certified and nationally recognized as specialists in liposuction. Their artistic sense, combined with their meticulous attention to detail, consistently achieve outstanding results in sculpturing the body. 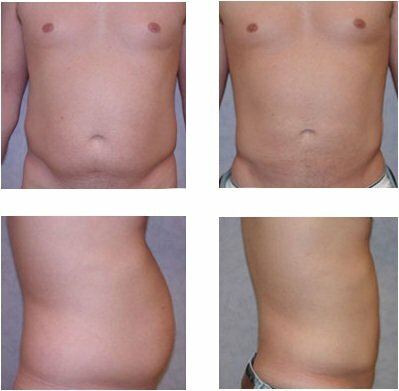 The tumescent liposuction, is a much safer procedure when compared with liposuction that uses general anesthesia. This is a far safer technique, with no deaths or major complications reported in the hundreds of thousands of patients over the many years that have had the procedure done. Fat is removed with far less bleeding, leading to superior results, less bruising and faster healing. Patients are able to walk immediately after the procedure and typically return to their normal activities in two days. • Extremely safe with no deaths and far fewer complications than general anesthesia when strict tumescent guidelines are followed. • Faster healing with decreased bleeding and bruising. Patients are able to return to normal activities in two days. • Patients are not limited to strict bed rest after surgery, which reduces the risk of clot formation in legs. The doctors encourage patients to take a one to two mile walk the next day and return to work in two days. • More pure fat removal with less bruising, leading to better results. Local anaesthesia and complementary sedation (or general anaesthesia when the liposuccion is very extensive). You will have to rest at the hotel for 3 or 4 days, depends on your liposuction procedure. You will be bloated because of the liquids you received during the procedure, so small temporary drains may be placed in existing incisions beneath the skin to remove any excess blood or fluid if necessary. You may also feel some numbness or loss of feeling around the area of the liposuction, but this will only be temporary. For a few weeks following your liposuction procedure, you will wear a body contouring type of stocking that will help your body conform to its new shape. You will see swelling and some bruising. You may have some discomfort around the area of the incisions. You will have several scars of no more than 0.1 inches (3 mm) long. The recovery process is unique to each person. Do not become depressed if you do not see immediate results; it may take several weeks or months for the swelling to fully dissipate. As it does, your new contours and enhanced self-image should continue to develop. Liposuction results are permanent, the fulfilment you feel from the initial results of liposuction should continue as long as you control your weight and maintain a healthy lifestyle. Liposuction is not a treatment for obesity or a substitute for proper diet and exercise. It is also not an effective treatment for cellulite, the dimpled skin that typically appears on the thighs, hips and buttocks, or loose saggy skin. Cheap cosmetic surgery packages abroad.